Thanks for all the lovely comments on my previous post, about a recent OCD book that I love a lot, I am sure the wonderful Lily will appreciate them too! This post could get rather soppy, but I am going to do my best to make it not…. 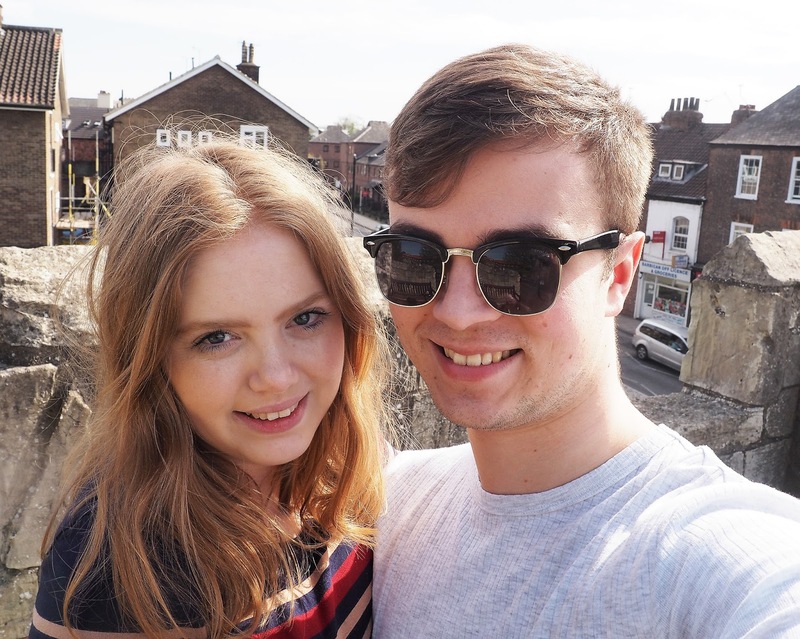 Jordan and I have been together for about three months now, which I know isn’t a long time, but I am wonderfully happy with him at the moment, I feel more like the ‘old Kayleigh’ before I was diagnosed with OCD, which is just really flipping nice. People often ask how we met, and when I respond with ‘Oh we met on Tinder’ people quite often make a face like ‘oh really?’ and then giggle. Tinder really is what you make it. If you’re going to swipe right on all of the super hot muscular ‘laddy’ types, the chances are that you are going to come across quite a few arseholes. (this obviously isn’t always the case) Now I’m not saying ‘lower your standards’ but I found that you could USUALLY tell when someone was going to be an arse, or if someone was going to be a nice person, just by the choice of photos, or words on their bio. Sometimes it can really shock you, I had a guy that I swiped right to because he was a nurse and seemed rather decent, and kind. I was TOTALLY wrong, he just wanted me to nip round the corner for a fling, and then unmatched me when I said no. But that’s just Tinder for you, and probably why it has a rather ‘bad reputation’ – some people are on there simply for a bit of fun, great if that is what you are looking for, keep doing what you are doing! But if you are looking for something with a little bit more commitment then keep on searching and delving through, as cheesy as it sounds – there is always someone for everyone! From my personal experience I found stating what you are after REALLY early on, or making it clearly obvious that you aren’t after a fling was the way to go. I do think Tinder experiences (and probably most dating apps) 100% depends on your location. All in all, my own personal dating app experience in Leeds, really was a pretty brilliant place to find a lot of likeminded people. Whereas I totally understand you might find this a lot harder, living in smaller communities or even larger ones like London. Maybe widen or decrease you km search in order to accommodate to this! Don’t give up on Tinder and online dating! Tinder is a good and a bad thing for your confidence. It is great to realise that guys ARE interested in you, that is why I originally downloaded it, because I felt pooey after my break up. It can also be rather disheartening… Finding that super hot guy that you thought ‘OH we would totes get on, it’s true love, we are SO going to get married’ to then find he swiped left can knock your confidence a bit. But don’t let it get you down, get swiping onto the next lot! Tinder is brutal, you are essentially judging someone on their photo selection. Although I admit, I do love keeping up with Vix and her #VixSwipes series on Twitter. 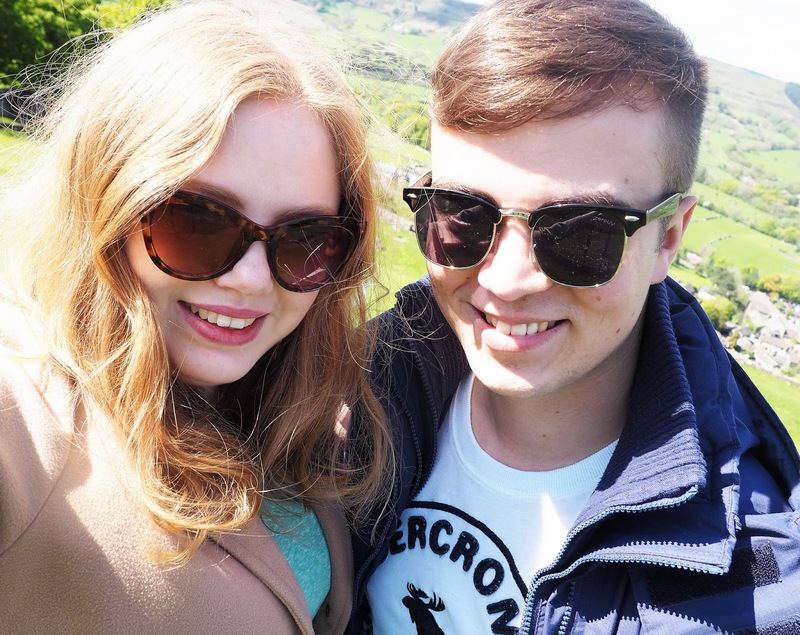 The amount of times I was pied off on the same day as the ‘date to be’ was RIDICULOUS, most times like an hour before, but what will be, will be, I am an avid believer in ‘everything happens for a reason’ – Jordan was the first and only person I ever actually met up with off of Tinder, and I am so happy with him, we just clicked instantly, I laughed so much on our first date that my mouth was hurting a lot. I know, I am very lucky for this scenario to happen, but don’t give up! I never thought starting a conversation with ‘I only swiped right to you because I love cherry bakewells’ (he works at Mr Kipling) would make me this happy, not the best compliment I have ever given, but here we are. Thats another thing….. boys often said it was nice to talk to me because I actually talk, c’mon gals, you have to make some sort of effort, keep that conversation going, ask how they are doing, start that conversation first! Hope you found this post interesting lovelies. Don’t be ashamed to be on Tinder! I know many many happy people in loving relationships, including myself, and YOU too can find love on this app, I am very sure about that! It definitely takes work, sifting through the bad, extremely rude ones in order to find someone that you get on with. But be patient, it does get better! Aww this was so lovely to read! I joined tinder a few months ago (after a pretty awful breakup) and was a little sceptical at first, but I 100% agree that it is what you make it. I met my girlfriend on Tinder and tomorrow is our 6 month anniversary. (Semiversary?) Now we live together and have a puppy. So, yeah, anyone who thinks Tinder is JUST for random hookups is mistaken! Tinder – like a lot of things it seems – seems to be given quite a bad name for itself when people are forgetting the ability it has to bring people together and give them the best thing ever – happiness! Hope you & Jordan are happy together for a very long time! Aw this is cute! I met my boyfriend on Tinder too, it's about eight months since our first date now and he's turned out to be a good'un 🙂 Like you say, it really is what you make it!